Families exist in all shapes and sizes, and it is not uncommon for family structures to include divorced or unwed parents. Because California recognizes that non-traditional families exist in many forms, state law provides fathers with certain child custody and visitation rights. After all, both parents play an important role in the lives of their children. Family courts want to ensure that children have the opportunity to have productive and enriching relationships with their dads. Unfortunately, social traditions and stereotypes have produced a great deal of misinformation when it comes to the rights of fathers navigating family law proceedings, especially proceedings involving custody and parenting time. At Buncher Family Law , our attorneys help fathers protect their rights in all types of family law proceedings. In addition to providing the counsel and representation fathers need to navigate the legal process and pursue positive outcomes, we also work diligently to educate them about their rights. 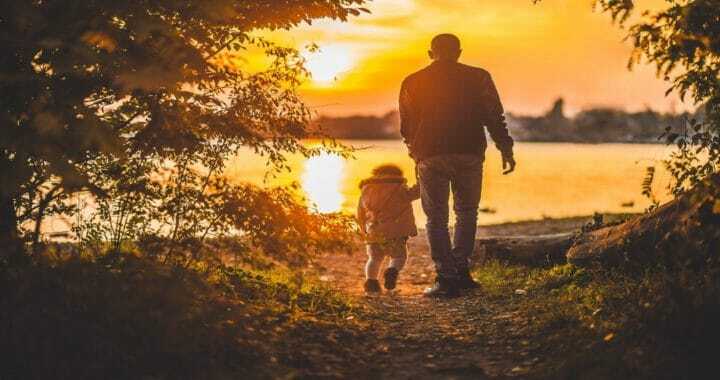 Family courts value father-child relationships – Studies have made it clear that fathers play an instrumental role in shaping the lives of their children. As such, California family law judges recognize the value of positive father-child relationships. Despite what some misinformation may lead one to believe, there is no bias in the law against fathers who demonstrate the intent and ability to maintain positive relationships with their children. Establishing parentage – Biological parents have a right to seek custody and visitation of their children, but these rights are not automatically granted simply because you say you are the father. In the event that parents were not married when a child was born, a father will need to establish parentage in order to assert his rights as a biological parent. Parentage can be established through DNA testing, consent, and other methods. Without establishing parentage, unwed fathers may have no legal standing when it comes to their child. Legal custody – Fathers who have established parentage have the right to seek legal custody of their children. Legal custody allows fathers to participate in major life decisions involving their children, including decisions about education and health care, counseling, psychotherapy, and more. seeking parenting time. In fact, courts want fathers to have continuing and frequent contact with their children. They also want parents to work out custody arrangements or schedules that are in the best interests of the children, and which maximize parenting time for both parents. financially. Support is determined by a uniform calculation that is standard to California family law cases. Calculating child support can be very complex, and it requires a thorough review of many factors, including a parent’s income, preexisting financial obligations, and percentage of time they spend with their children. Should You Hire a Private Investigator for Divorce?